ORIGINAL GRADE IRON DESIGNED TO OE STANDARDS TS16949 QUALITY CONTROL. Bendix discs are manufactured using state of the art casting procedures and using fully automated melting and pouring facilities. Our material and testing capabilities are of quality and consistency matched of OE. With temperature controlled post casting environments for reduced material stress and coupled with our post production analysis, you can be assured of the high quality of our disc production. 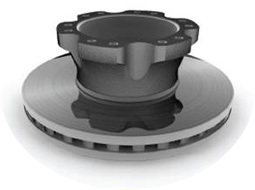 Bendix disc cover the vast majority of modern Truck, Trailer and Bus applications. Metallurgy in line with OE materials.